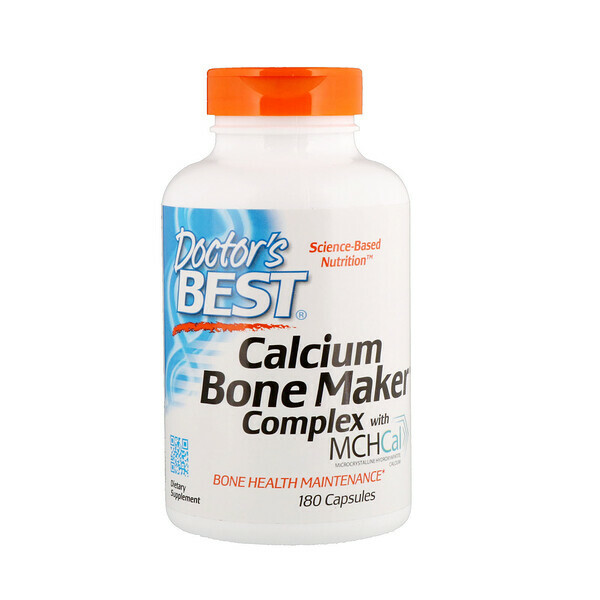 Doctor's Best Calcium Bone Maker Complex with MCH-Cal supplies key bone nutrients in their most bioactive forms. 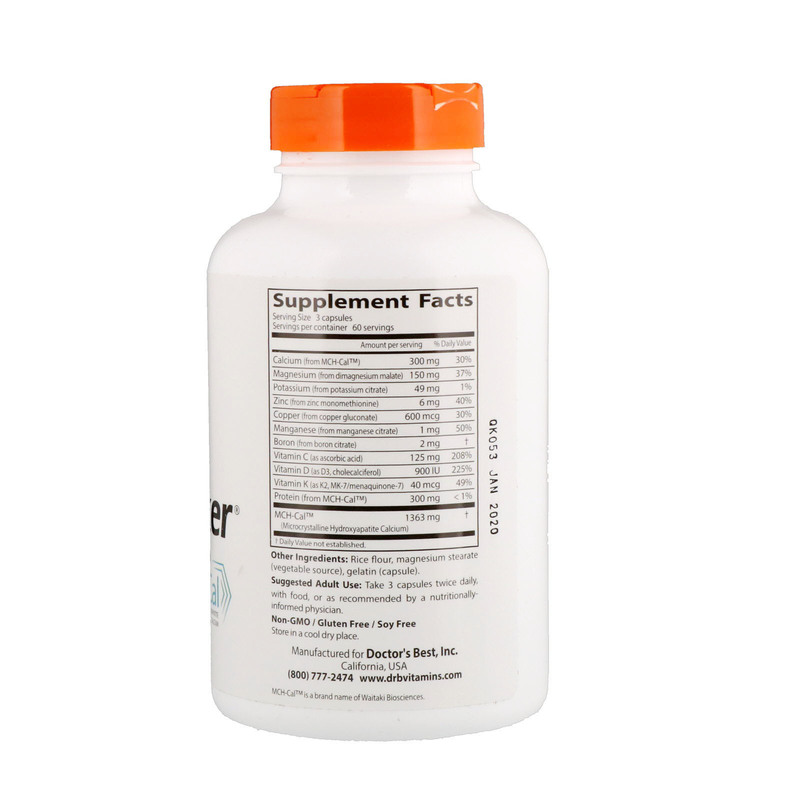 MCH-Cal supplies natural Calcium and Type I Collagen, the predominant protein found in bone. Vitamin C assists bone matrix formation. Vitamin D3 and K2 help support the absorption of calcium into bone and help protect blood vessels from arterial calcification. MCH-Cal has been clinically demonstrated not disproportionately spike calcium blood serum levels. Take 3 capsules twice daily, with food, or as recommended by a nutritionally-informed physician. Rice flour, magnesium stearate (vegetable source), gelatin (capsule).